I searched for ncpa.cpl and this is the window that popped up; should the Marvell Yukon icon be there or do I need to click on something else? It should but it seems the device isn't correctly installed! 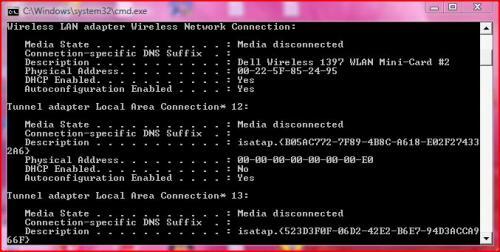 Please post the image showing the properties of the Wireless Network Connection. Thanks. It seems normal no entry's related to something removed. 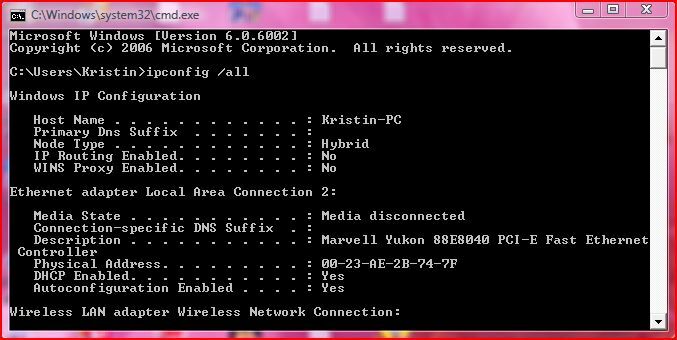 - Open the Device Manager like you did before (post #38) expand the Network Adapters, right click the Marvell Yukon 88E8040 PCI-E Fast Ethernet Controller device and select Uninstall. - Reopen the Device Manager and tell me if the yellow "!" 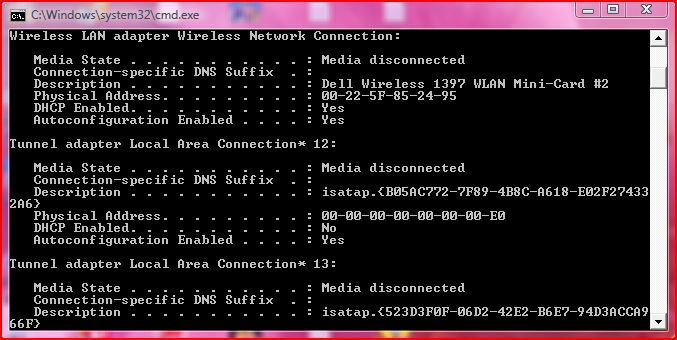 continues on the Network devices. I did what you asked and the "!" signs are still next to all the Network devices except for the Dell Wireless 1397 WLAN Mini-Card #2. 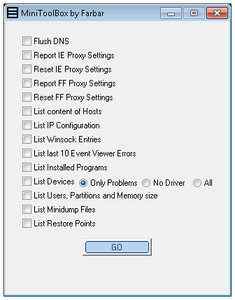 Right click on the icon and choose Run as Administrator to execute the tool. Make sure all other windows are closed. Do not change any other settings unless otherwise told to do so. click the button at the top. Let the program run uninterrupted. OTL may ask to reboot the machine. Please accept right away. The report should appear in Notepad after the reboot. Copy & Paste that report in your next reply and not as attachment. The OTL fix log will be saved in the following location: C:\_OTL\MovedFiles\mmddyyyy_hhmmss.log - where mmddyyy _hhmmss is the date and time when the fix run. File move failed. C:\Windows\temp\TmpFile1 scheduled to be moved on reboot. Error: 0x80040801. Http status code: 0. 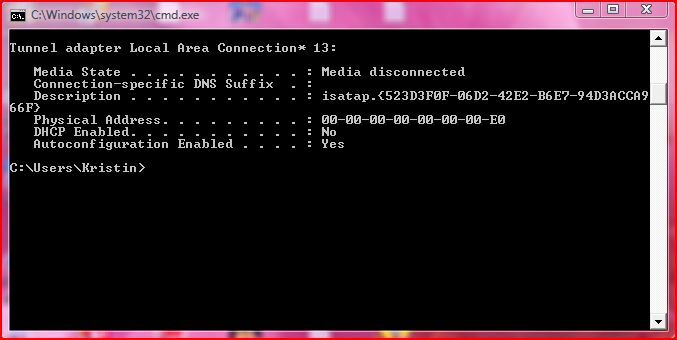 Trying config: source=IE, direct connection. Send request returned 0x80040801. Http status code 0. Trying config: source=auto, wpad=1, script=. 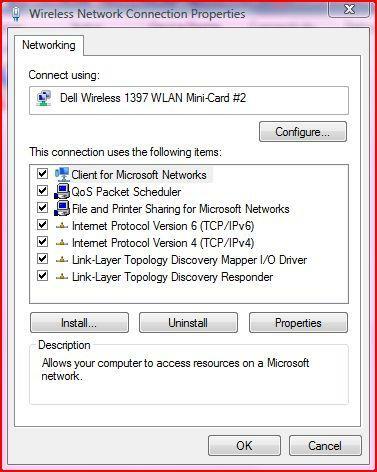 Now the network card seems to be correctly installed and with status connected but the Minitoolbox log doesn't show the IP configuration! Open the Command Prompt bly clicking on the Start button . In the search box, type cmd, and then press Enter. please tell me what you get as result of the command. - When you typed the command ipconfig was the computer with the Ethernet cable connected? - Please post the answer to my question and the new MiniToolBox log. Please keep the Ethernet cable connect during the steps because I need to see if we can get it working first only then we will try the Wireless connection because it add more variables to the mix. I have revised the complete thread and there are fix's that we tried that the tools used failed to show me the result or the commands didn't run! Open Notepad (Start =>All Programs => Accessories => Notepad). Please copy the entire contents of the code box below. Right-click in the open Notepad and select Paste. The tool will make a log (Fixlog.txt) on the same location as FRST/FRST64 please post it in your next reply. So from now one I should have the Ethernet cable connected whenever I run a fix or a scan? I had it connected when I did the fix today, though I'm not sure if the fix worked or not. I'm on it. Sorry one of the first fix's we run have a mistake and didn't fix the problem identified before related to the PATH. The PATH definition is missing and this causes the other tools to fail. click the button at the top. Let the program run uninterrupted. Error: Unable to interpret < :reg> in the current context! Error: Unable to interpret < [HKEY_LOCAL_MACHINE\SYSTEM\CurrentControlSet\Control\Session Manager\Environment]> in the current context! Error: Unable to interpret < "Path"=hex(2):"%SystemRoot%\system32;%SystemRoot%;%SystemRoot%\System32\Wbem;%SYSTEMROOT%\System32\WindowsPowerShell\v1.0\;C:\Program Files (x86)\Java\jre7\bin"> in the current context! Error: Unable to interpret < "Path3"=-> in the current context! Description: Printer Dell AIO Printer A940 failed to initialize because a suitable Dell AIO Printer A940 driver could not be found. The new printer settings that you specified have not taken effect. Install or reinstall the printer driver. You might need to contact the vendor for an updated driver. Description: Windows could not initialize printer Dell AIO Printer A940 because the print processor Dell AIO Printer A940 Print Processor could not be found. Please obtain and install a new version of the driver from the manufacturer (if available), or choose an alternate driver that works with this print device. The copy & past did add something that made the fix to fail!